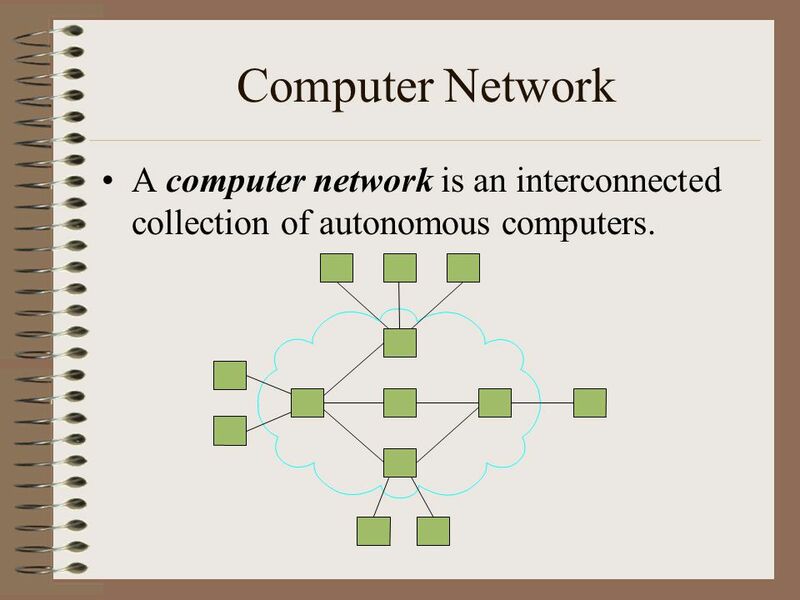 3 Computer Network A computer network is an interconnected collection of autonomous computers. 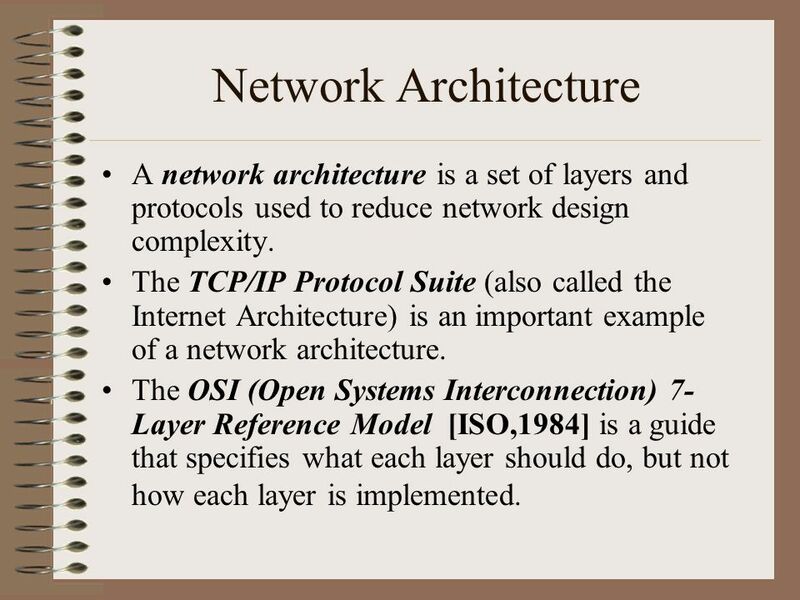 6 Network Architecture A network architecture is a set of layers and protocols used to reduce network design complexity. 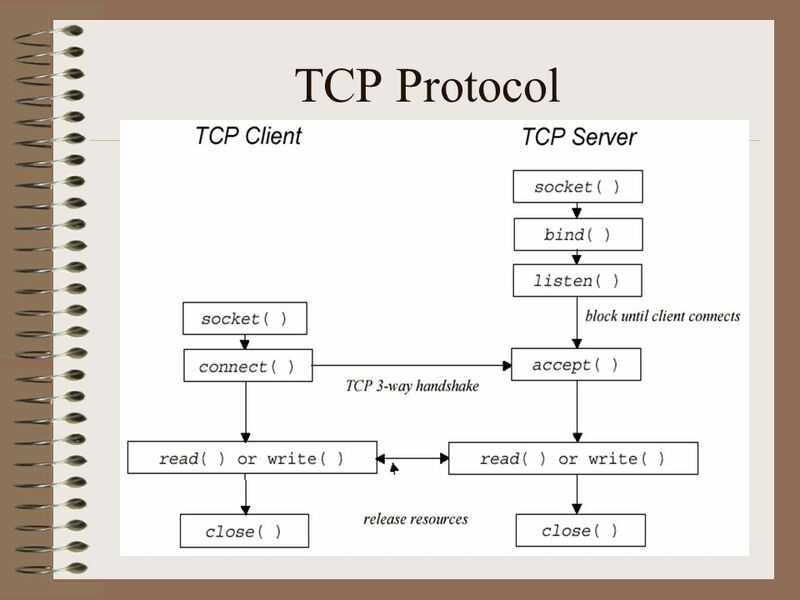 The TCP/IP Protocol Suite (also called the Internet Architecture) is an important example of a network architecture. 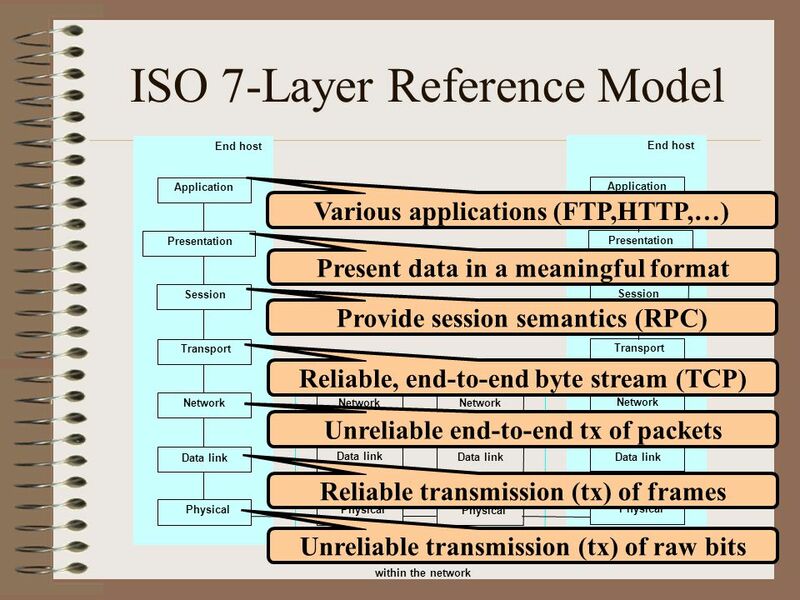 The OSI (Open Systems Interconnection) 7-Layer Reference Model [ISO,1984] is a guide that specifies what each layer should do, but not how each layer is implemented. 11 Network Programming A network allows arbitrary applications to communicate. 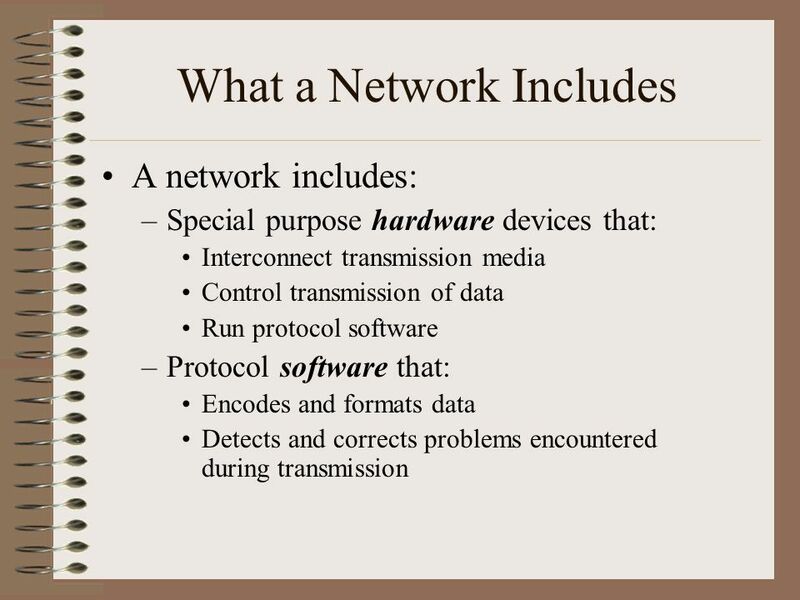 However, a network programmer doesn’t need to know the details of all lower-level network technologies. 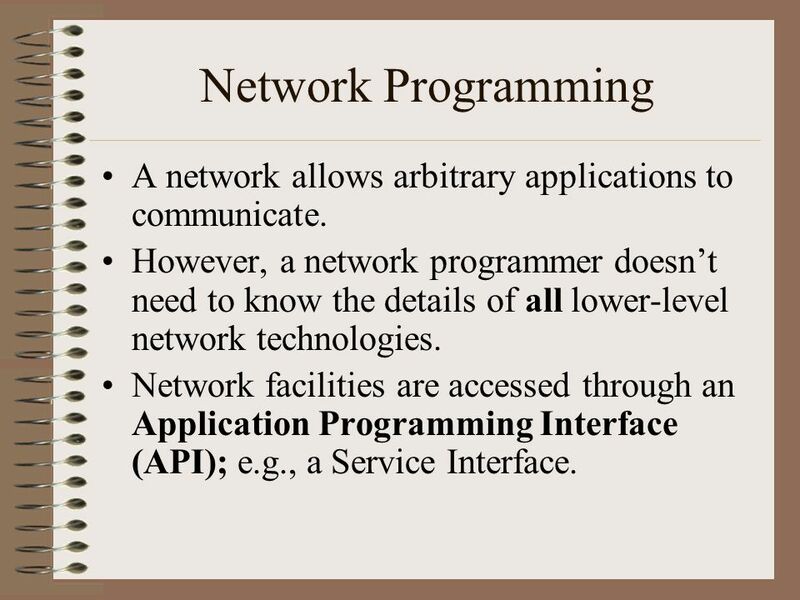 Network facilities are accessed through an Application Programming Interface (API); e.g., a Service Interface. Most network applications can be divided into two pieces: a client and a server. 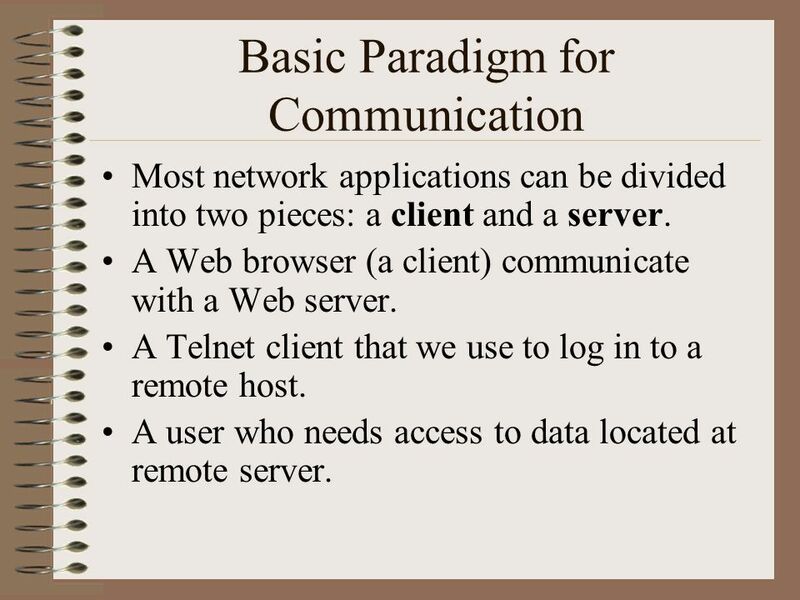 A Web browser (a client) communicate with a Web server. A Telnet client that we use to log in to a remote host. A user who needs access to data located at remote server. 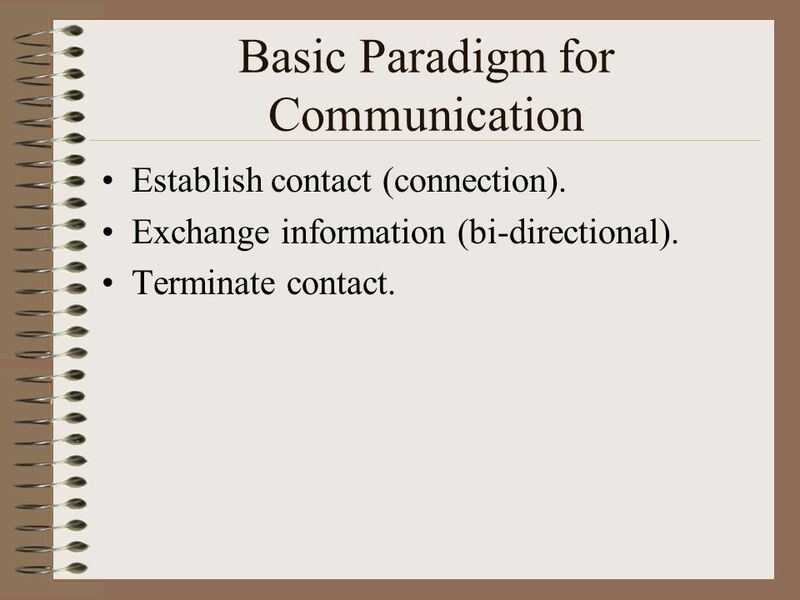 Establish contact (connection). Exchange information (bi-directional). Terminate contact. Server waits for client to request a connection. Client contacts server to establish a connection. Client sends request. Server sends reply. Client and/or server terminate connection. Connection-oriented Setup the link before communication. Similar to the phone call. We need the phone number and receiver. 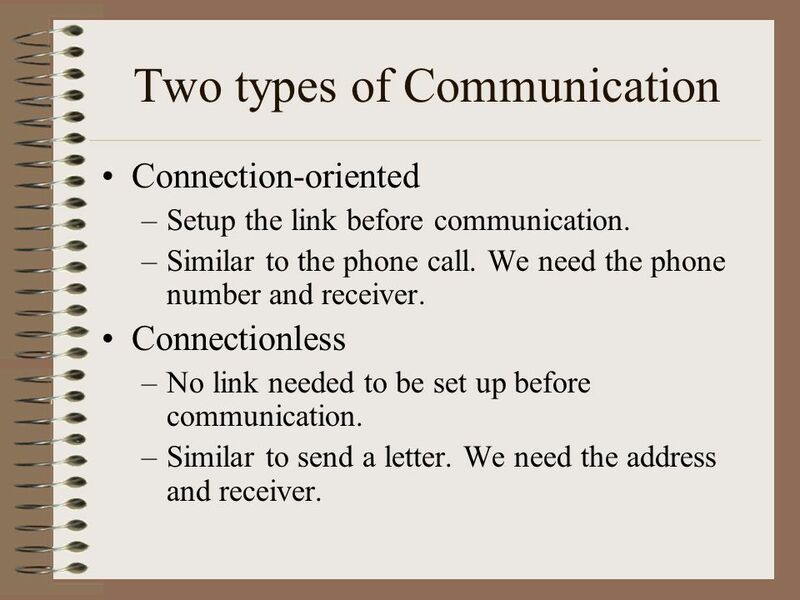 Connectionless No link needed to be set up before communication. Similar to send a letter. We need the address and receiver. 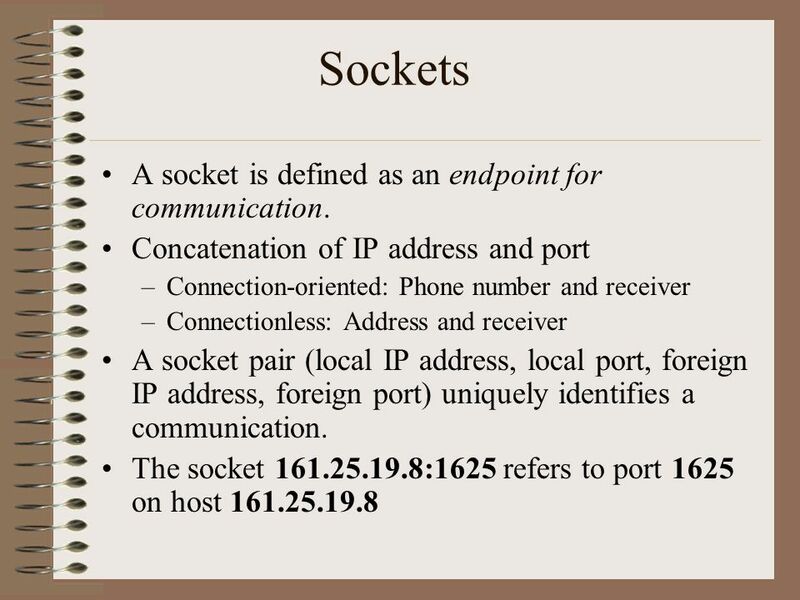 17 Sockets A socket is defined as an endpoint for communication. 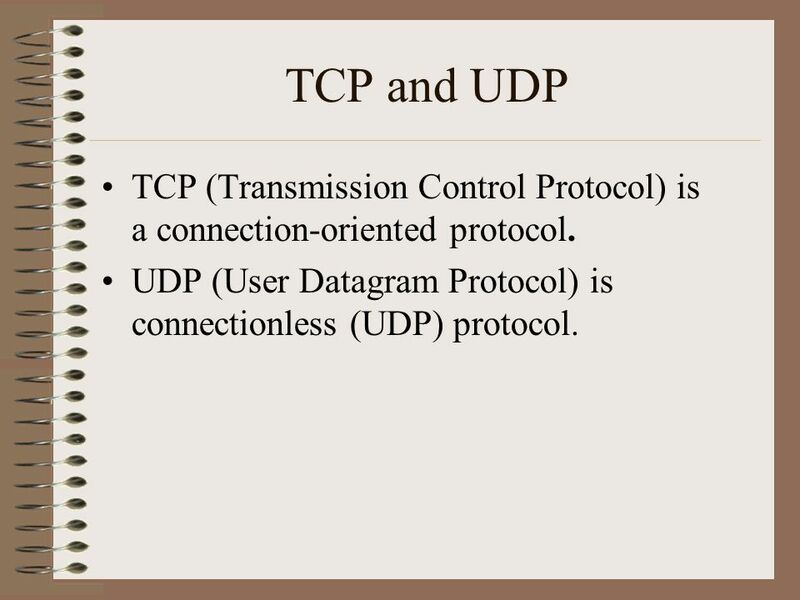 20 TCP and UDP TCP (Transmission Control Protocol) is a connection-oriented protocol. 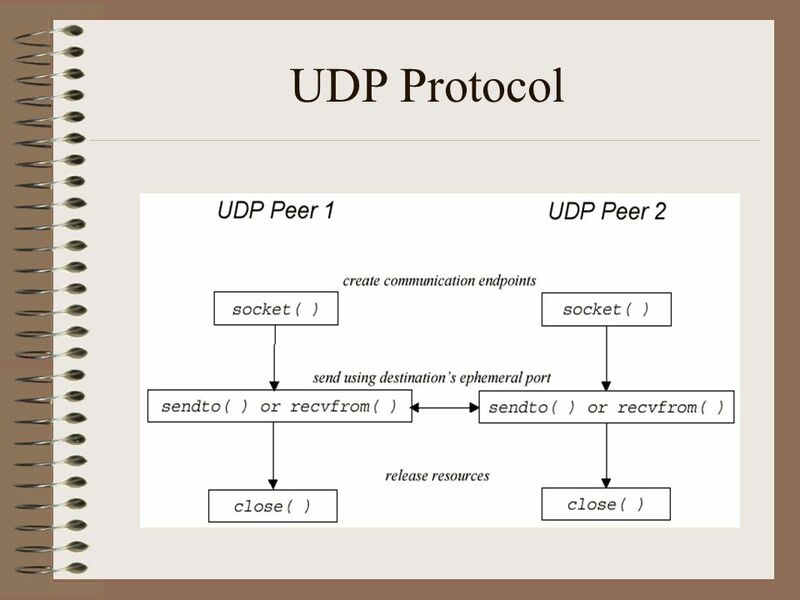 UDP (User Datagram Protocol) is connectionless (UDP) protocol. 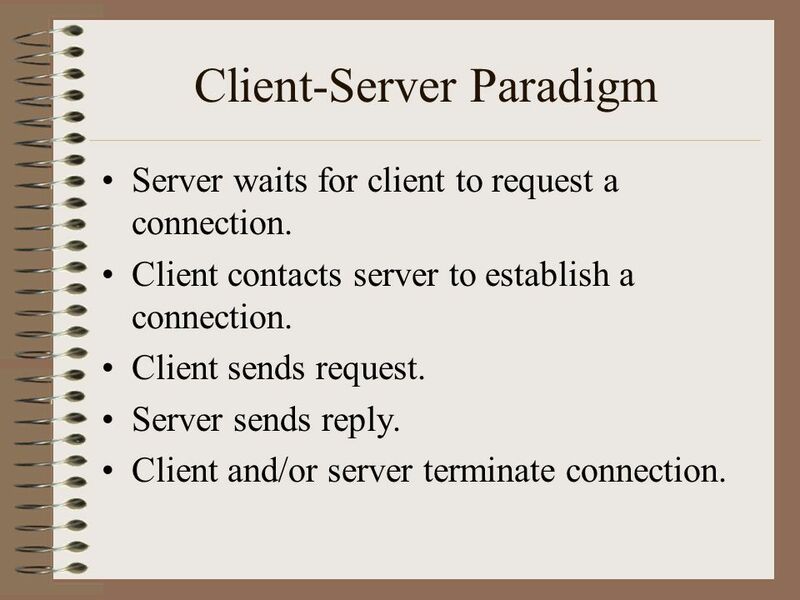 Normally, a server would first listen and accept a connection and then fork a new process to communicate with the client. 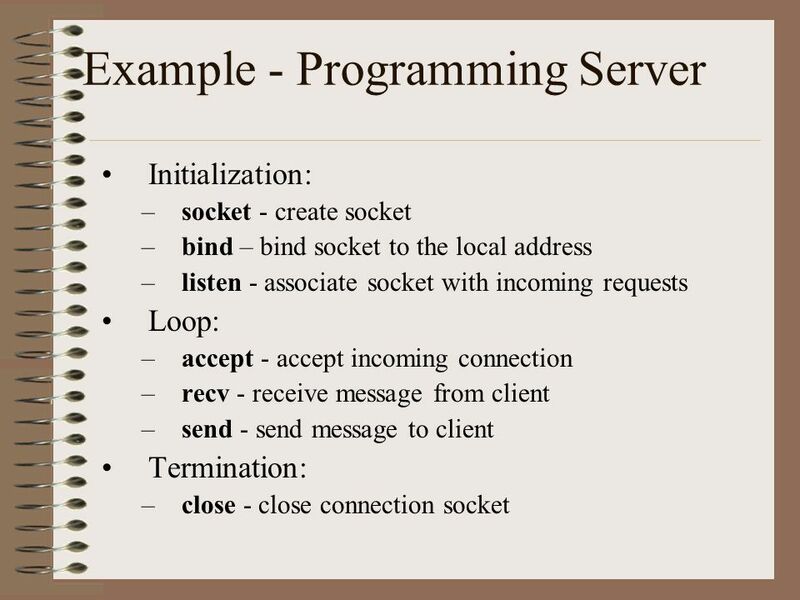 The server or listening process first uses the socket operation to create a stream socket and the bind operation to bind its socket to the server’s socket address. It uses the listen operation to listen for connections on a socket. 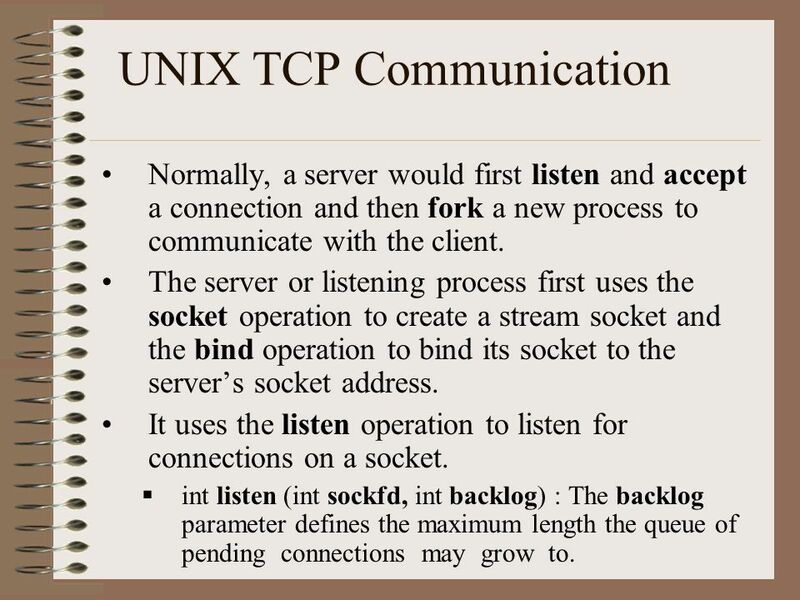 int listen (int sockfd, int backlog) : The backlog parameter defines the maximum length the queue of pending connections may grow to. The server uses the accept system call to accept connection requested by a client. 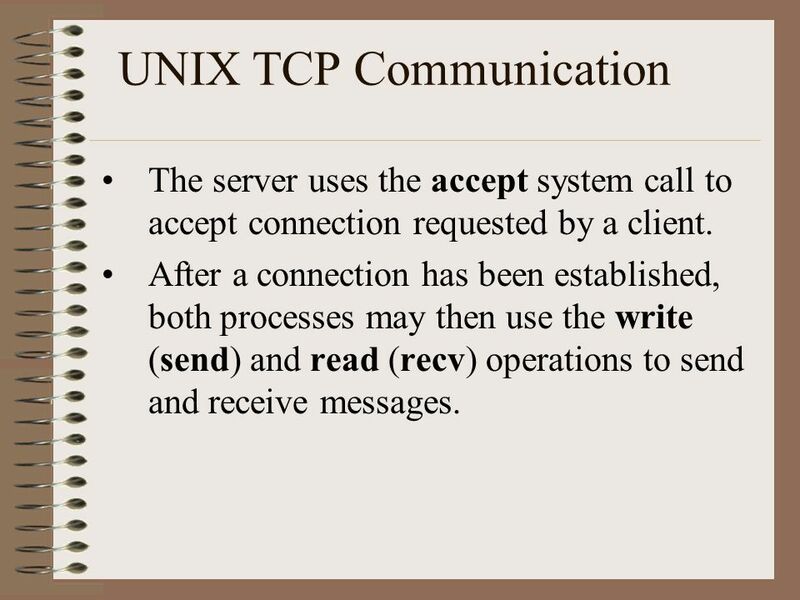 After a connection has been established, both processes may then use the write (send) and read (recv) operations to send and receive messages. bind – specify the local endpoint address for a socket. 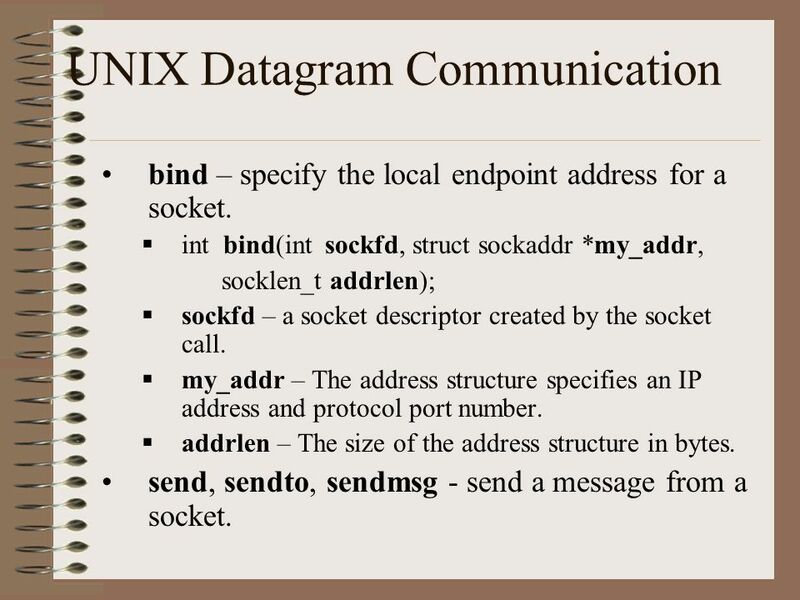 int bind(int sockfd, struct sockaddr *my_addr, socklen_t addrlen); sockfd – a socket descriptor created by the socket call. 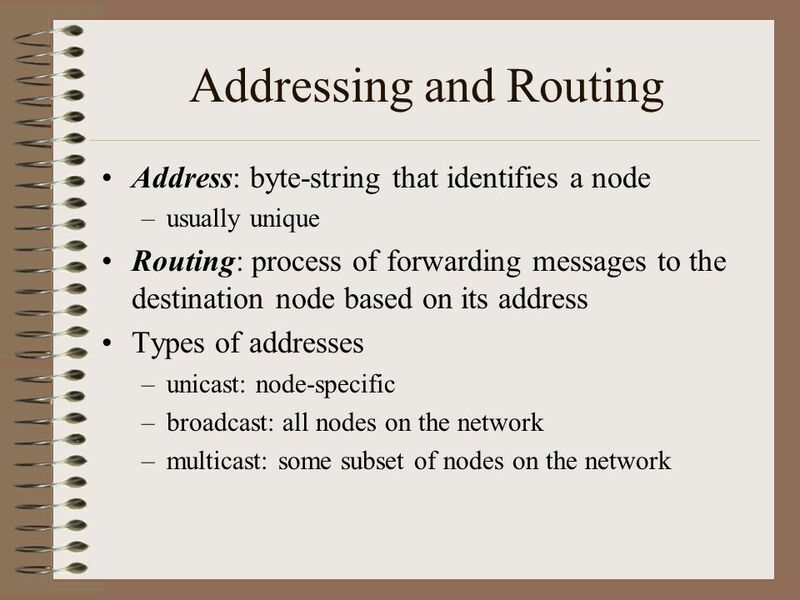 my_addr – The address structure specifies an IP address and protocol port number. addrlen – The size of the address structure in bytes. send, sendto, sendmsg - send a message from a socket. recv, recvfrom, recvmsg - receive a message from a socket close - close a file descriptor UDP is not able to transfer a message more than 8KB. 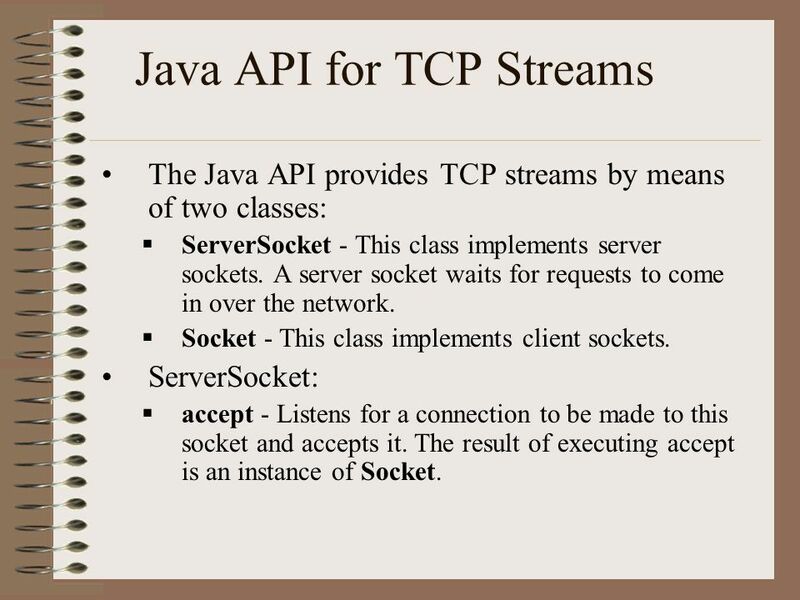 The Java API provides TCP streams by means of two classes: ServerSocket - This class implements server sockets. A server socket waits for requests to come in over the network. 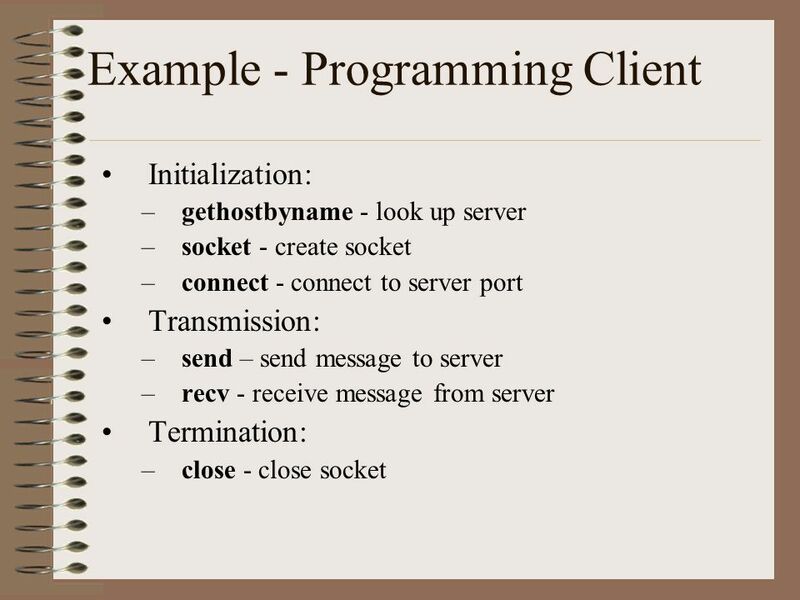 Socket - This class implements client sockets. ServerSocket: accept - Listens for a connection to be made to this socket and accepts it. 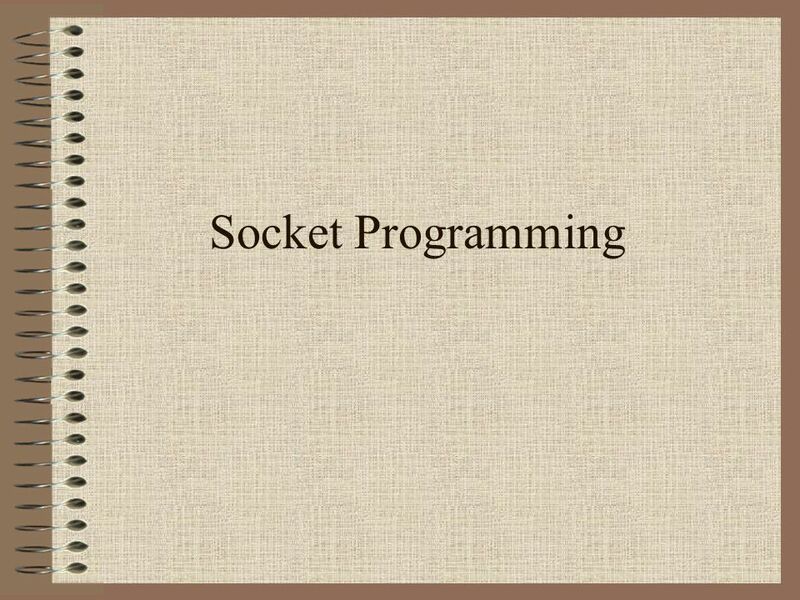 The result of executing accept is an instance of Socket. 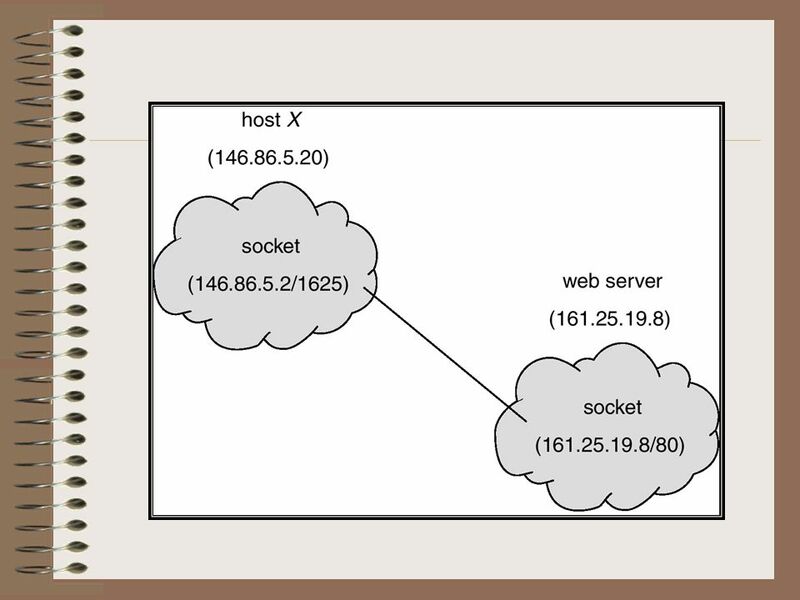 Socket: Socket (InetAddress address, int port) - Creates a stream socket and connects it to the specified port number at the specified IP address. It will throws UnknownHostException or an IOException. 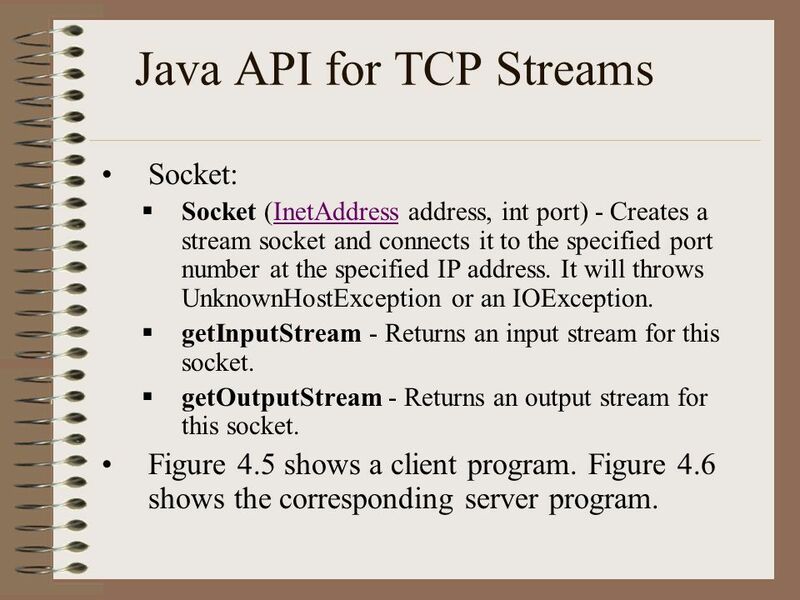 getInputStream - Returns an input stream for this socket. getOutputStream - Returns an output stream for this socket. Figure 4.5 shows a client program. Figure 4.6 shows the corresponding server program. 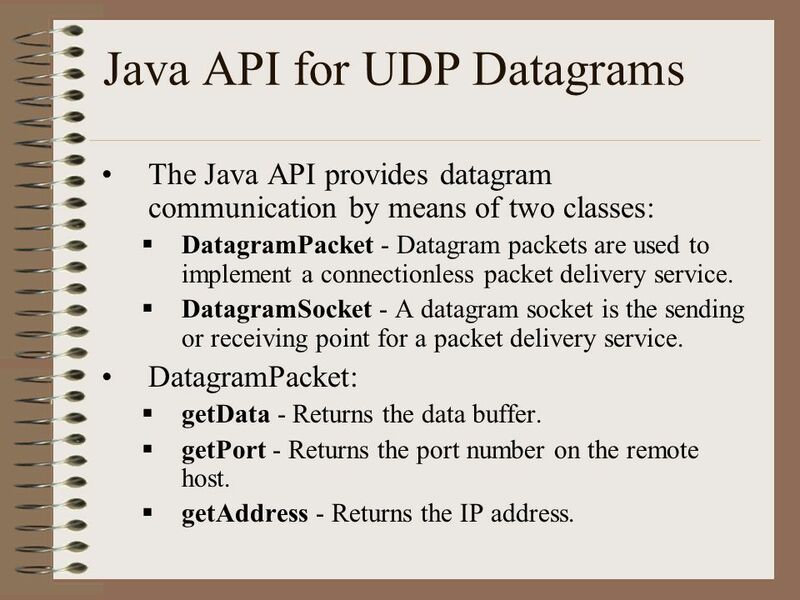 The Java API provides datagram communication by means of two classes: DatagramPacket - Datagram packets are used to implement a connectionless packet delivery service. 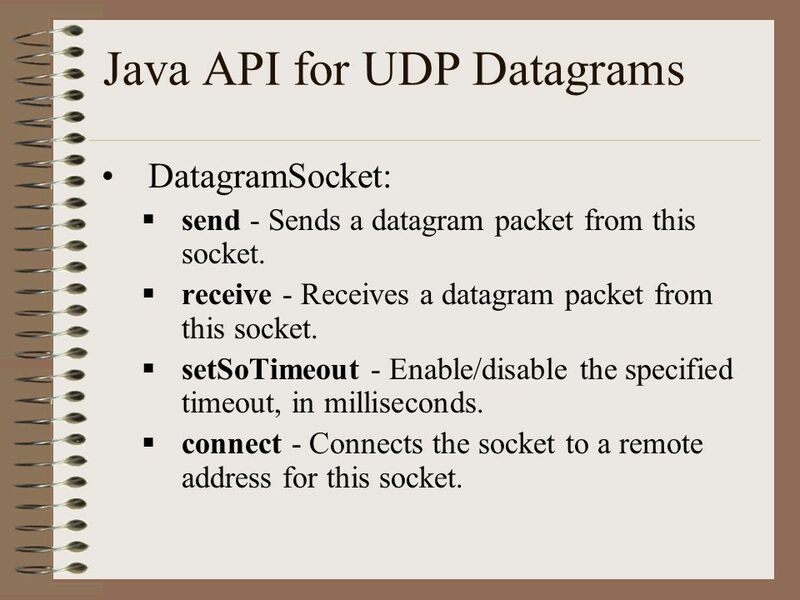 DatagramSocket - A datagram socket is the sending or receiving point for a packet delivery service. DatagramPacket: getData - Returns the data buffer. getPort - Returns the port number on the remote host. getAddress - Returns the IP address. DatagramSocket: send - Sends a datagram packet from this socket. 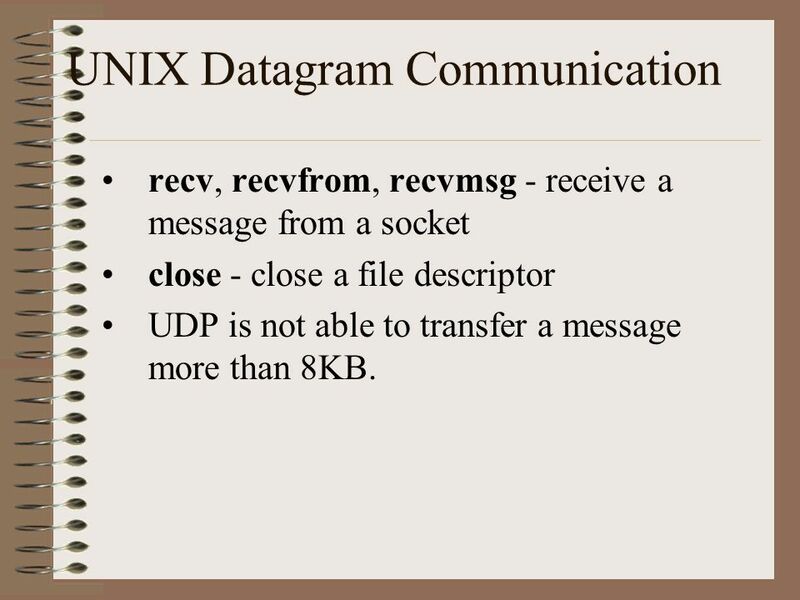 receive - Receives a datagram packet from this socket. setSoTimeout - Enable/disable the specified timeout, in milliseconds. connect - Connects the socket to a remote address for this socket. 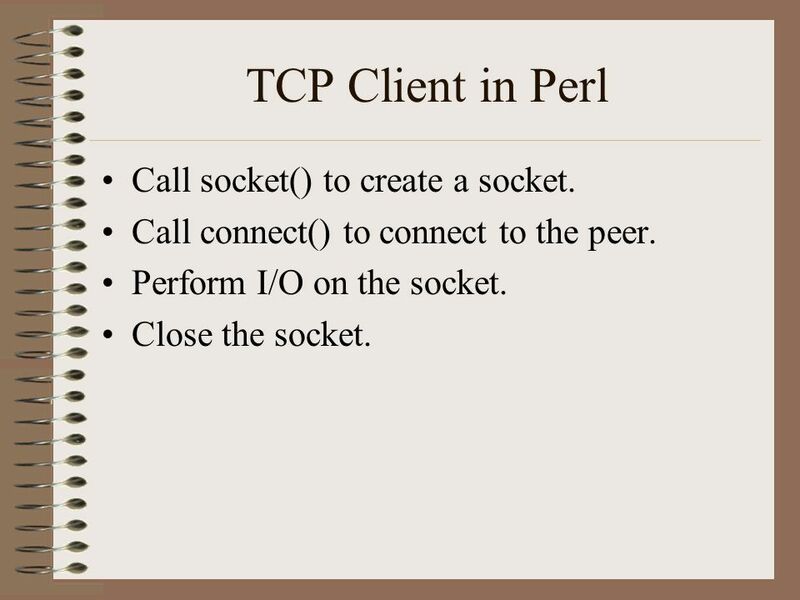 33 TCP Client in Perl Call socket() to create a socket. 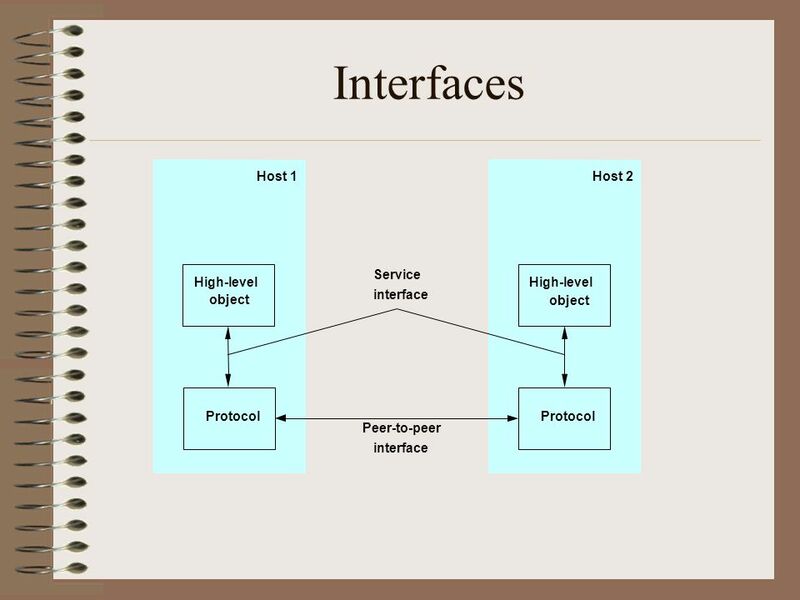 Call connect() to connect to the peer. Perform I/O on the socket. Close the socket. 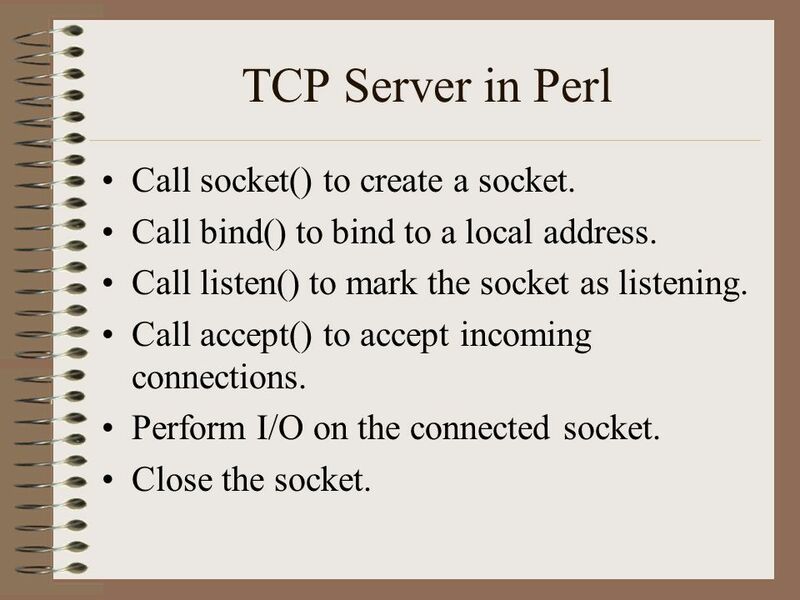 34 TCP Server in Perl Call socket() to create a socket. Call bind() to bind to a local address. Call listen() to mark the socket as listening. Call accept() to accept incoming connections. Perform I/O on the connected socket. Close the socket. Taekyung Kim 0x410 ~ 0x International Standards Organization (ISO) is a multinational body dedicated to worldwide agreement on international. Spring 2000CS 4611 Introduction Outline Statistical Multiplexing Inter-Process Communication Network Architecture Performance Metrics. Spring 2003CS 4611 Introduction, Continued COS 461. 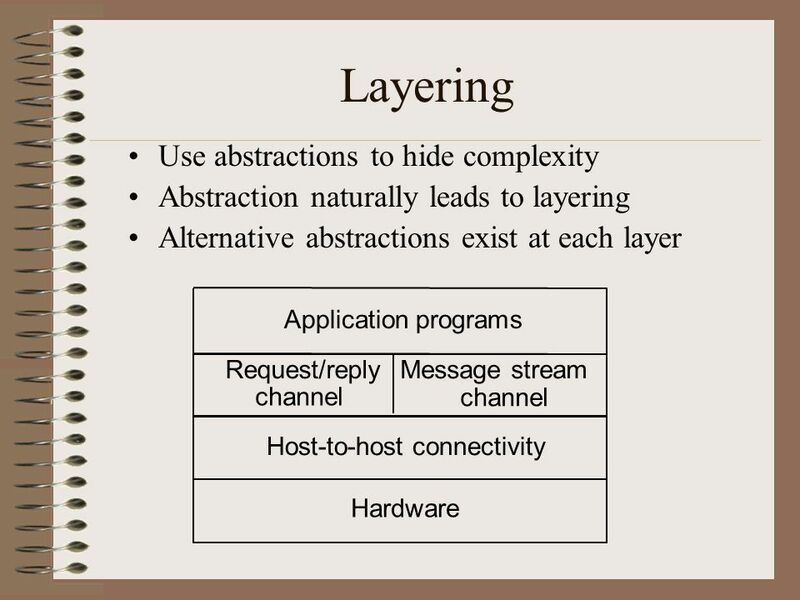 Network Architectures Professor Jinhua Guo CIS 527 Fall 2002. Generic Transport Service Primitives Listen –notify Transport layer a call is expected Connect –establish Transport layer connection Send (or Write) Receive. 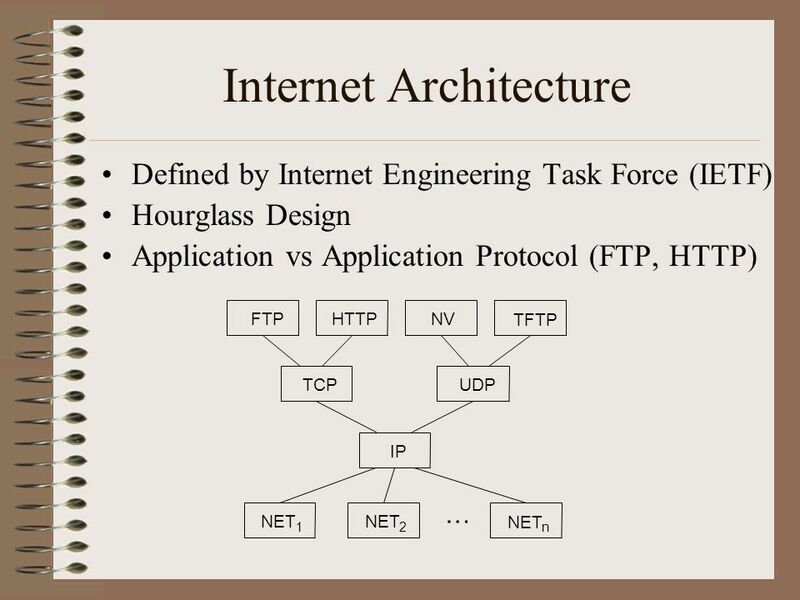 Foundation Outline Requirements Network Architecture Implementing Network Software. 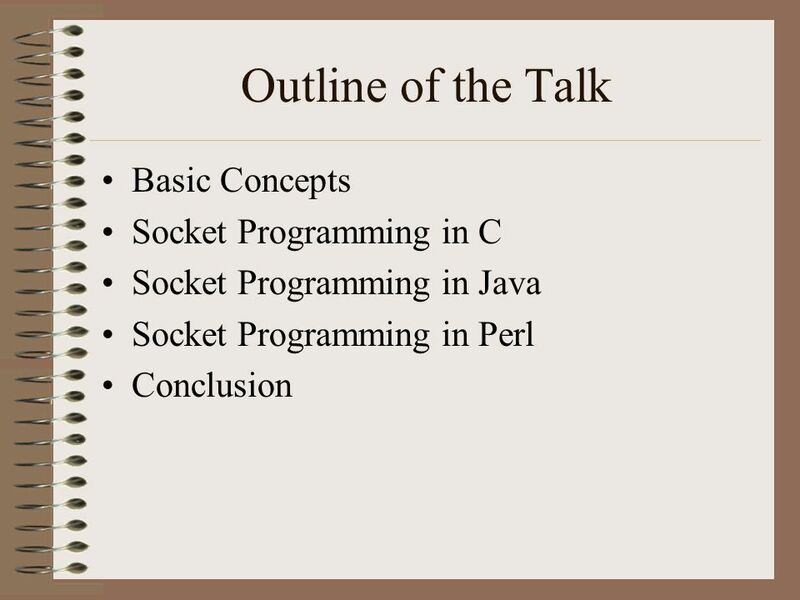 Java Socket Support Presentation by: Lijun Yuan Course Number: cs616. 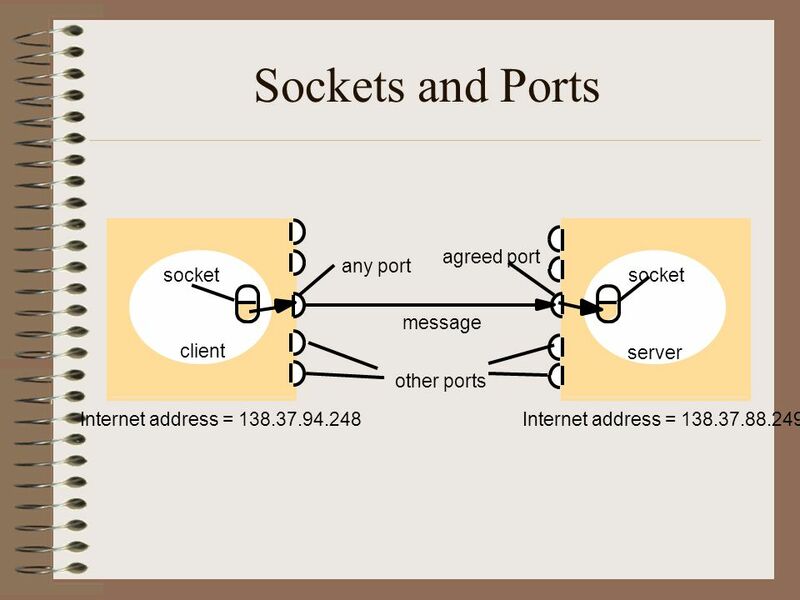 CS3771 Today: network programming with sockets  Previous class: network structures, protocols  Next: network programming Sockets (low-level API) TODAY! CSE/EE 461 Getting Started with Networking. Basic Concepts  A PROCESS is an executing program somewhere.  Eg, “./a.out”  A MESSAGE contains information. 1/20 Introduction Outline Statistical Multiplexing Inter-Process Communication Network Architecture Performance Metrics Implementation Issues. Networks 1 CS502 Spring 2006 Network Input & Output CS-502 Operating Systems Spring 2006. 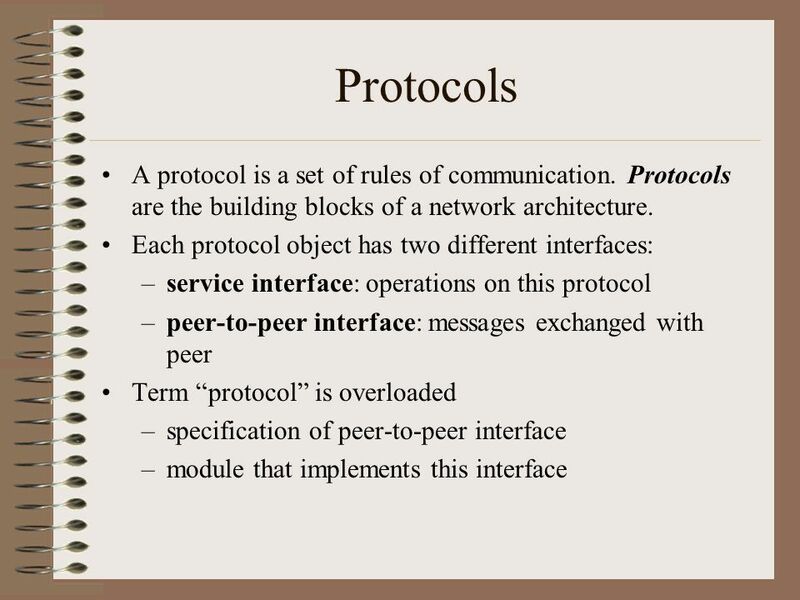 1 School of Computing Science Simon Fraser University CMPT 771/471: Internet Architecture and Protocols Socket Programming Instructor: Dr. Mohamed Hefeeda. CS-3013 & CS-502, Summer 2006 Network Input & Output1 CS-3013 & CS-502, Summer 2006. I NTRODUCTION OF S OCKET P ROGRAMMING L.Aseel AlTurki King Saud University. UNIX Sockets COS 461 Precept 1. CS 6401 Introduction to Computer Networks 09/21/2010 Outline - UNIX sockets - A simple client-server program - Project 1 - LAN bridges and learning.